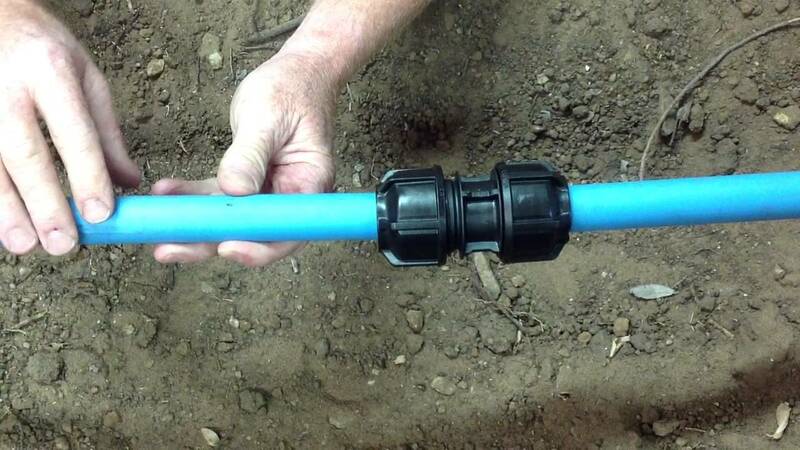 Find out How to Join Different Types of Plastic Pipe & Fittings Easily With Our Online Guide! If you run into any problems when connecting any type of pipework, don’t hesitate to comment or give the EasyMerchant team a call. Most twin wall ducting products will come with a coupler pre-attached at one end – however, it’s wise to check this is the case prior to placing your order, to prevent any hold-ups. If you require a connection to another length of twin wall ducting, you’ll find a simple push fit between the coupler and the next length of twin wall ducting will adequately secure the two pipes. Since the coupler doesn’t have an internal seal, you may experience a small amount of leakage, both in and out of this connection. If you’re simply channelling surface water, this may not be a problem – however, if you’re carrying waste – or a solvent with any chemical component, you’ll need to seal this connection. Adding a seal is straight-forward; select the size of seal you require and locate it between the first and second twin wall pipe ribs that will enter each end of the coupler. The coupler will now require a little more effort to locate correctly over the twin wall pipes – but is now watertight. If your twin wall ducting system is going to carry solvent or soil with any potentially corrosive or harmful chemical element, you should consider nitrile seals. These are made to order and subject to lead times – but our technical team are happy to advise, based on soil reports and your specific requirements. Connecting a solvent waste pipe into a soil pipe generally makes use of a ‘boss’ fitting – either pre-formed in soil pipe you’re connecting to; or added as an adaptor as you make the connection. If you’re using a boss pipe section, you’ll need to remove a portion of the soil pipe – although if you’re using a boss adaptor, you’ll simply need to cut the appropriate size hole in the soil pipe. Cut the appropriate size hole in the soil pipe where you’d like the connection to be made. Using a specific pipe cleaner, thoroughly clean the area around the connection point. When your solvent cement sets, you now have a permanent and sealed connection between the solvent waste and soil pipes – ready to accept a push-fit or a further solvent weld connection into the boss. Joining ring seal soil, waste and underground pipe systems is a simple and quick process – allowing for a system that can be easily dismantled if required. Each section of the ring seal system has a chamfered end, which should be lubricated with either a silicone or water-based lubricant – before being pushed squarely and evenly into the fitting. This compresses the rubber seal, creating an airtight and watertight joint. When the pipe has been inserted into the joint, you should withdraw it by around 10mm, to allow for any expansion throughout the system. Electrofusion fittings are normally used on gas mains pipe work and as such, shouldn’t be undertaken without comprehensive training and the appropriate certification. An electrofusion connection also requires a control box, for which a series of operating procedures apply. As such, this guide will offer a simple overview of the process – but we’re always more than happy to offer more in depth information and product recommendations if you’d like to speak with one of the EasyMerchant team. When the process is complete, you’ll be left with exceptional strong, airtight, watertight and homogeneous connection. Compression or mechanical pipe connections are some of the most commonly encountered in domestic settings and often represent a great combination of low cost and simple operation. The end body of a compression style MDPE pipe joint is formed to create a partial dish shape, this dish houses a cone shape rubber washer, which is then generally topped with a tough plastic washer. Over the top of these washers, an MDPE threaded ‘nut’ attaches to the threaded section of the joint, compressing the washer stack, causing it to expand laterally. Mechanical compression pipe fittings and joints are simple to use and extremely reliable, making them ideal for waste pipes and traps.